Titan security key is a public version of the security key which Google used to protect its 85,000 employees from phishing and other cyber attacks during working. It is promised to provide a physical security and better online protection over data and other software hacks. Titan can be used for authentication on various devices, apps, websites and cloud services. It offers for industry standard FIDO (Fast Identity Online) protocol and uses custom firmware created by Google. Titan comes in two variants, one with USB support for PC and other with Bluetooth support for mobile devices. Googles use cryptography to enable two-way verification to make sure you log into trusted online sources and check whether the security key is genuine or fake. Titan is a direct competition to already existing Yubico which produces the hardware-based security keys called YubiKey. 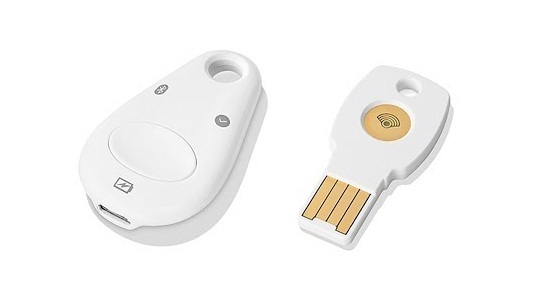 Where YubiKey has dropped the idea of Bluetooth based security keys as its vulnerable to NFC and USB keys, Google is offering one with Bluetooth compatibility. Titan Security Key is currently available for free trial to Google Cloud customers and soon they will in stores.